What have you always wanted to know from an insider about getting your book on the publishing path? Come to this exclusive opportunity to hear and interact with Heather Lazare, first-time in Sacramento! Intensive session will cover how to get your book on the path that will hopefully lead to an auction. We’ll discuss query letters, comp titles, independent editors, retreats, conferences, beta readers, and more. How to find an independent editor (and how to know if you need one). How to know when your book’s ready to submit to an agent. Query letters: The Yes, the No, and the No Way. How to avoid pitfalls and make your book stand out. What publishing houses are looking for and how to position yourself and your book. 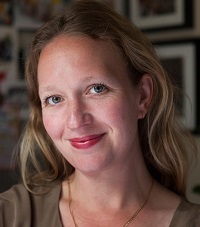 Heather Lazare, Editorial and Publishing Consultant and co-founder of Northern California Writers’ Retreat, is a former Simon & Schuster Senior Editor. Prior to that, she worked as a Random House Editorial Assistant. Now she’s back in California, where with Literary Agent Chelsea Lindman she founded the Northern California Writers’ Retreat. Heather specializes in adult and young adult fiction, historical fiction, women’s fiction, literary fiction, and thrillers. She has edited numerous high-profile books, which makes her a standout source of information. Examples of Heather’s work: Madame Toussaud, Cleopatra’s Daughter, Jasmine Nights, Astor Place Heritage, Mermaid, The Fairest of them All, Three Maids for a Crown, Yoga Cures, Female Nomad and Friends, Lighthouse Bay, Royal Mistress, The Chalice, Destiny’s Divas, The Enough Moment, Landing Gear, Happily Ever After. What to Bring: Your query letter and/or the first couple pages of your novel – let an expert give you her advice! Deadline: May 4 or until session is filled. Seating Limited! Register now to ensure a seat! Please print and bring your registration receipt to the retreat. Kate Asche’s Spring 2019 Conferences/Workshops/Festivals List! Click here for information about this conference, which takes place on Saturday, April 13th, 2019 in Pleasanton, Ca. Registration begins December 1, 2018. 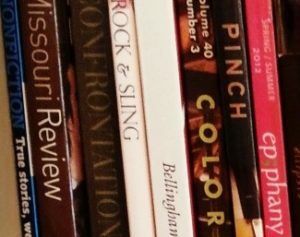 Planning on submitting a story to the 2019 California Writers Club Literary Review? Click on Polishing Your Prose for tips on how to best perfect your writing. Deadline for submission is November 30, 2018.